[Official] AnyRecover Partition Recovery - Recover Deleted or Lost Partition Easily and Quickly! AnyRecover will recover your data from a variety of partition problems and get you out of trouble. Detect and recover partitions no matter when you delete them, even if you have created new ones. Restore files from lost partition caused by unpredictable system shutdown, corrupted tracks, bad sectors, boot manager, system restore, etc. Get back all types of data from quick or full formatted partitions. Retrieve your files when the partition showing RAW file system or no data can be read from RAW disk, RAW USB drive, RAW SD card, etc. Get data back from hidden partition, hard drive, USB drive, etc., without hassles. Restore files from damaged partition caused by system malfunction, hard drive crash, virus or malware attack, etc. Recover lost files after resizing partition with our algorithm-based partition recovery technology. Recover data from most types of partition issues or errors, such as the “Disk is not formatted” error, etc. Use a combination of 25 different analytical technologies to come up with complete solutions regarding lost partition data. Keep deleted data from being overwritten to make sure all of the files on your partitions can be recovered completely. Preview your lost partition data via AnyRecover so as to recover them accurately. 3 different scanning methods are provided to recover your lost data deeply and completely. Comb through your partition byte-by-byte and reconstructs every little piece it finds into a known file structure. Use original & advanced technology to help you find out and recover your lost files on partitions with lighting-fast speed. Recover any file/folder or reconstruct 1000+ file types with high success rate. 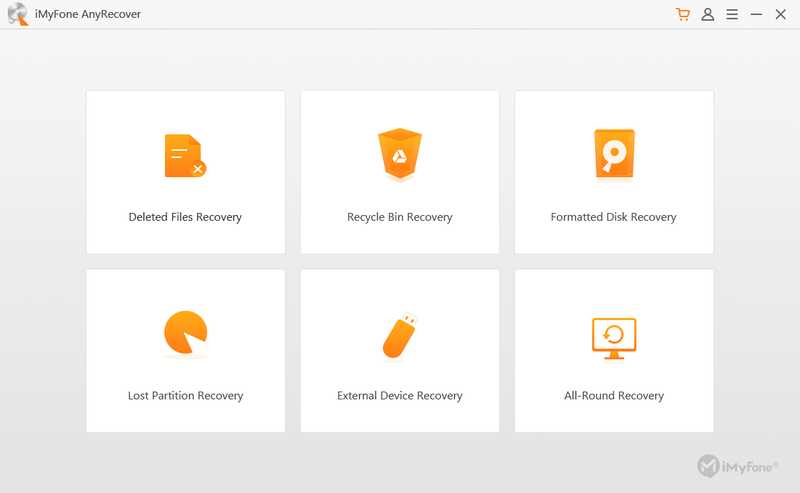 AnyRecover allows you to recover data from various devices with different files systems. AnyRecover is the only partition recovery software that digs extra deep to retrieve your lost data from virtually any type of storage device. Launch AnyRecover and select “Lost Partition Recovery” mode. Select the partition where you lost your data, click the “Next” button to choose files types to recover. Select the files types you want to recover, click “Scan” button to start the scanning process. 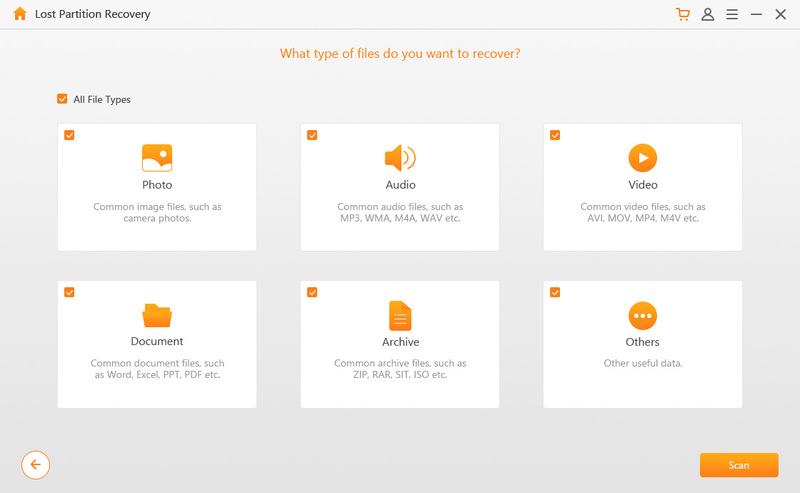 After the scan completed, preview your lost files and recover them by clicking "Recover" button. Your Partition Recovery Expert Takes Care of Every Lost Data!